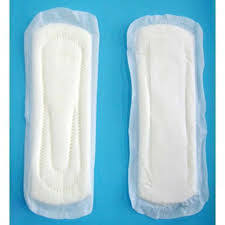 The Women Environmental Programme, has advised ladies to cultivate the habit of burning and burying used sanitary towels, following the recent trend of theft of used underwear and pads for rituals. Mrs Kyauta Giwa, the organisation’s Executive Director, gave the advice on the sidelines of a Training of Trainers Workshop on Menstrual Hygiene Management (MHM) in Makurdi, on Wednesday. Giwa said this would go a long way to douse the tension around the matter; and also promote safe disposal of menstrual materials for the overall health and wellbeing of women and girls. “My opinion is that if people can dig and bury, or burn; whatever method that you can quickly use to dispose your sanitary waste is advised, but make sure you minimise its availability on dumpsites and other open places. “Just dig a small hole around the house, burn quietly there, because this new thing of stealing of sanitary towels and underwear is a major concern. Giwa said women and girls could also develop the habit of having a dustbin to gather all used items and burn immediately, adding that it was a more hygienic and safer way of managing menstrual health. She said the disturbing trend had also affected the usual practice of sun-drying underwear. The director therefore called on government at all levels to make the provision of incinerators a priority to help promote safe disposal of menstrual pads. According to her, the information surrounding menstrual health has not been effectively passed; urging the National Orientation Agency to do more to re-orientate Nigerians on promoting waste disposal for overall protection of the environment. Giwa also urged the tiers of government to compel landlords and home-owners to abide by building standards in order to address situations of poor health, open defecation and indiscriminate waste disposal. She called for the re-engagement of sanitary inspectors to monitor homes and public places to promote a healthier environment and society. Earlier, the Benue State Commissioner for Women Affairs, Mrs Ladi Ajene-Isegbe, called for an end to misconceptions and silence surrounding menstruation to enable young girls access appropriate information for hygiene promotion. According to Ajene-Isegbe, breaking the silence surrounding menstruation is an avenue to remove barriers so that women and girls would live better and more productive lives. She noted that the mandate of her ministry included efforts to promote women and girls empowerment, saying that this was being achieved in its policies and programmes.